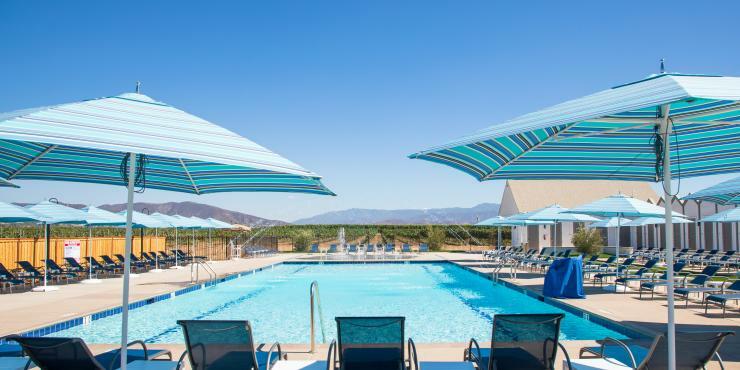 Temecula Valley Wine Country’s new BOTTAIA Winery is pleased to announce the highly anticipated Sunday, April 21st opening of The Pool at BOTTAIA – just in time to welcome the warmer months. A sophisticated respite set among the backdrop of pristine rolling vineyards, the family-friendly Pool at BOTTAIA invites guests to indulge in the "dolce vita" lifestyle for the day by reserving one of 30 Italian-style cabines (Italian-style private changing rooms with showers), plus chaises. Local wines, craft cocktails and casual California and Italian-inspired small plates and entrees will be served at the poolside Cafe + Cocktail Bar. Since its opening in September 2018, reservation-only BOTTAIA Winery has introduced a new level of sophistication to the region by offering a chic, modern environment to enjoy exclusively estate grown Italian varietals, plus interactive wine and food experiences inspired by the luxury and refinement of Northern Italy. For an unparalleled ambiance, The Pool, Cafe + Cocktail Bar overlook BOTTAIA Winery’s picturesque rows of grape vines and present sweeping views of the Palomar mountain range. most of their day-long entry by enjoying loungeside service and dining at the shaded Pool Cafe + Cocktail Bar, which will serve a version of BOTTAIA Winery’s popular artisan charcuterie boards, paninis, salads and more, in addition to a dedicated children’s menu. 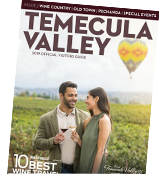 BOTTAIA wines, along with other Temecula Valley and international wines will be available, as well as a wide assortment of traditional and modern cocktails. 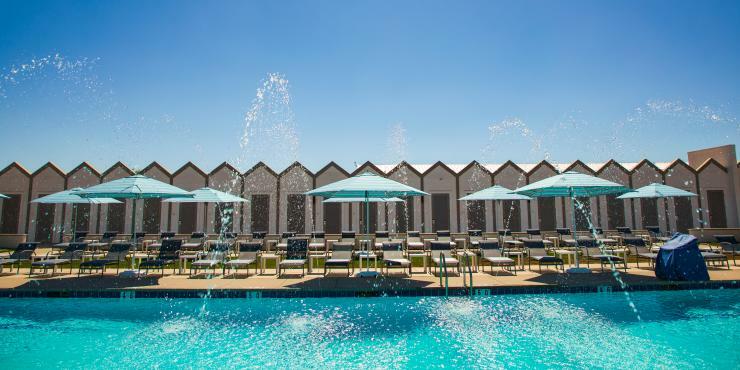 30 Italian-style cabines line the pool, each appointed with a shower, teak bench, luxe amenities, storage for belongings and access to power for phone charging and hair drying. The day fee includes two reserved chaises, towels for two guests and bottles of water. Additional chaises may be purchased separately. A poolside chaise lounge reservation includes all day access to the pool, Cafe + Cocktail Bar access, towels, drinking water, a locker and use of the public showers. BOTTAIA Winery, or "cask aging room" in Italian, produces Italian wines (mostly single-varietal selections and a few blends) using sustainable viticulture and Old World Italian-style winemaking techniques. The winery’s structural design is inspired by the villas of Italy’s Veneto region designed by Andrea Palladio in the 16th century. BOTTAIA’s three modern barn-like buildings strictly follow Palladian architectural principles, governed by symmetry and proportion. They also dictate that the main building be elevated, centered and have a prominent entrance. conducive to the discovery of wine. The winery offers three immersive wine and food experiences, including a guided, seated tasting with premium charcuterie and cheese pairings, an intimate barrel room tasting to discern the effects of barrel & bottle age on Italian varieties and the opportunity to learn the art of blending wine in the on-site lab. The Pool at BOTTAIA, Cafe +Cocktail Bar will be open from 12 - 5 pm Wednesday - Sunday (all ages welcome). Reservations are highly encouraged, and walk-ins are welcome, subject to availability. BOTTAIA Winery is open 11am-5pm Wednesday - Sunday (21+), by reservation only. 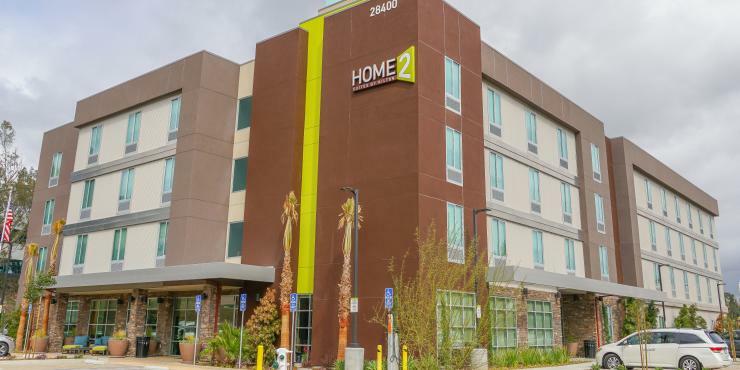 Overnight accommodations are available at nearby sister property, Ponte Winery and Ponte Vineyard Inn. Complimentary self-parking is available. For more information about The Pool at BOTTAIA, Cafe + Cocktail Bar and BOTTAIA Winery, Cafe + Cocktail Bar and BOTTAIA Winery, please visit:www.BottaiaWinery.com or @bottaiawinery.